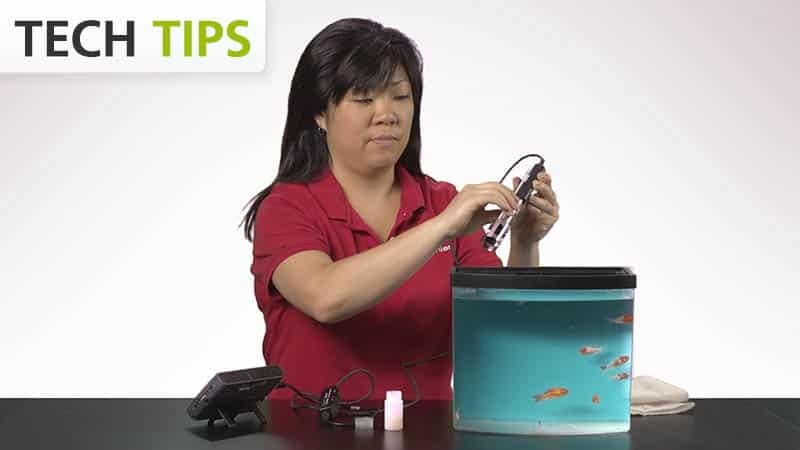 The Vernier Optical DO Probe makes it easy to measure the dissolved oxygen concentration in water. Perfect for the field or for the laboratory, this plug-and-play probe requires no calibration, no filling solution, no warm-up time, and no stirring. The Vernier Optical DO Probe uses luminescent technology to provide fast, easy, and accurate results, making it a terrific choice for biology, ecology, or environmental science courses. Students can measure dissolved oxygen concentration in surface water or to perform a wide variety of experiments to determine changes in dissolved oxygen levels, one of the primary indicators of the quality of an aquatic environment. The Optical DO Probe cap is warranted to be free from defects for a period of ​two years​ from the date of purchase. With proper use, the lifetime of the cap may be longer than two​ year​s​. Select a lab book to see a list of experiments and more information. The Vernier Optical DO Probe may require a compatible interface and software. Choose a platform below to see compatible interface and software options. The Vernier Optical DO Probe is fully supported with LabQuest 2 (version 2.8.5), a standalone data logger with built-in graphing and analysis software.